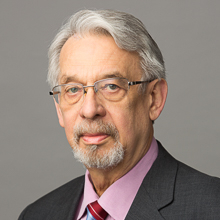 Marshall, Gerstein & Borun LLP partner Donald W. Rupert will speak at the Spring Meeting of the American Intellectual Property Law Association (AIPLA), being held at the JW Marriott in Los Angeles, California from April 30 through May 1, 2015. Mr. Rupert will present “Alternative Dispute Resolution Procedures: How and When to Use Them Effectively” at 3:30 p.m. on Friday, May 1. The presentation will address the use of ADR procedures in the resolution of intellectual property disputes. For more information, click here. AIPLA is a national bar association constituted primarily of lawyers in private and corporate practice, in government service, and in the academic community, with approximately 15,000 members. AIPLA represents law firms, companies, and institutions involved directly or indirectly in the practice of patent, trademark, copyright, and unfair competition law, as well as other fields of law affecting intellectual property.